We worked and planned and prepared for our cruising life for many years and while we were dreaming of sailing away we read about others who did it. Our armchair sailing booklist started with the classic of ocean sailing, Joshua Slocum’s “Sailing Alone Around the World” and continued with legends like Robin Knox Johnson, Eric Hiscock, Irving Johnson, Bernard Moitissier, Lin and Larry Pardey, Miles Smeeton and Herb Roth. We read disaster stories by Steve Callahan, Dougal Robertson and Ann Davison. We migrated to more irreverent books by Herb Payson and Jim Moore, and marveled at the young solo circumnavigators Robin Lee Graham and Tania Aebi. We were particularly taken by the stark beauty and sheer bravery of the Arctic sailing adventures of Alva Simon, who wintered over iced-in, and Dave and Jaja Martin and their family, who wintered over both in Iceland and Arctic Norway, and also sailed to Svalbord, one of the high-latitude places on my bucket list. In all of this reading, we don’t remember anyone dwelling on the often frustrating situation of waiting for an appropriate weather window to make a long ocean passage to new cruising grounds. In planning the passage from Central America to French Polynesia a sailor just has to do it in the right time of the year and be mindful of general patterns of currents and convergence zones, but because it’s a long distance and you can’t reliably predict weather more than a week out, at some point you just have to go and hope for the best. Not so, this winter passage back to the tropics from New Zealand. We’ve been ready to go for well over a month and have nixed a few windows that other boats took advantage of. One was a slow and windless opportunity — which in hindsight we’re sorry we missed — but the others were uncertain and “sporty,” as the kiwis like to say. As a first long passage for over six months we were reluctant to venture out in what turned out to be too much for many boats. We’ve seen boats return because of gear breakage or conditions they felt unsafe in, so tedious and stressful though it’s been, we forced ourselves to be patient and wait until we felt comfortable with the predictions. 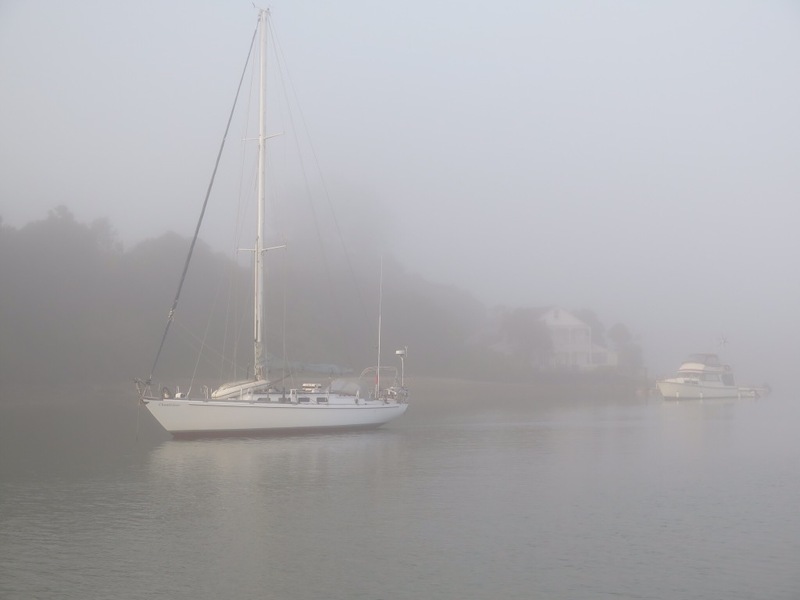 The on-again, off-again go/no-go waiting means we’ve had quite a few Last Suppers at the Opua Cruising Club, only to pull the plug the next morning when conditions changed or seemed too uncertain. At one of these gatherings I found myself sitting next to a twenty-something woman who signed on as temporary passage crew for a single-hander. I was whining about our visa expiration and the added stress we felt from being up against a deadline, and she recounted how her family had the same problem in Norway until her father fought it and the government changed the law to accommodate them. A little bell went off in my head. “Was this in the Lofoten Islands?” I asked, remembering stories of the stunning archipelago in Arctic Norway. “Yes!” she said, probably happy that someone had even heard of the place. I took a leap. “Are you a Martin?” I asked. “Yes!” she said, even more amazed and pleased as I began to gush uncontrollably at being in the presence of greatness. This was Holly Martin, middle child of Dave and Jaja Martin, whose stories of world cruising on small boats while raising three kids held the sailing world captive for all the years they were out there. Their book “Into the Light” is a wonderful account of their adventures in the Arctic, and Jack and I made it a point to attend an entertaining talk by Dave Martin one year at the Annapolis Boat Show. After I caught my breath, I turned to Eve, the single hander Holly would be sailing with on the passage north. “Your crew is famous,” I said, and I told her about the Martins’ adventures. 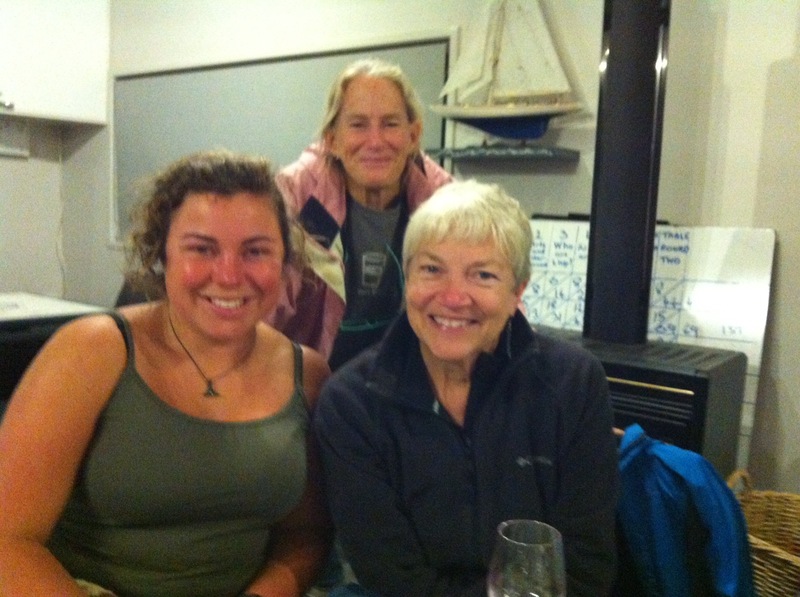 Eve had no idea, only that Holly was a confident and experienced sailor that she was happy to have onboard. I continued to pepper Holly with questions — whether she can still speak Norwegian, what her parents and sibs are up to, if she was aware at the time how special her childhood was, etc. She seemed genuinely delighted that Jack and I knew their story because as Eve said, she never mentioned any of that, only outlined her sailing experience. Holly works on an icebreaker in the Antarctic but that’s seasonal work and she travels and visits home in Maine during the southern winter. Eve and Holly sailed the next morning, but three days later they were back with a broken jib furler. Waiting for another weather window pushed Holly too close to a previous commitment and Eve lost her famous crew. When the repairs were made she sailed away solo, followed by our friends on Toucan and a few other boats eager to pack away the polar fleece and dive into turquoise waters. And still we waited day after drippy day. Finally the weather gods may be smiling on us. We think our patience will be rewarded with a reasonably comfortable passage north and we’re spending today stowing, provisioning, routing, cooking, fueling, inspecting and generally setting up EV for a week or so at sea. Let this time be the charm. Sending you good Karma and sunshine. Winds that Carey you safely to your tropical destination. I’ll be thinking about you and I’m there in spirit! Miss you both and looking forward to hearing of your safe passage and warm seas.